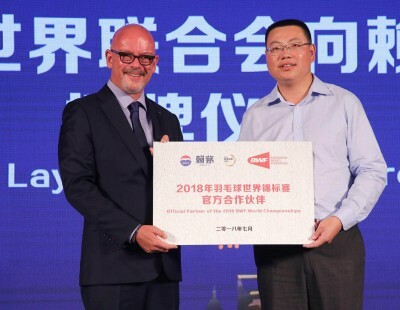 Viktor Axelsen and Nozomi Okuhara’s title defence petered out, while Zhang Nan stayed in the hunt for a double, as the TOTAL BWF World Championships 2018 entered its semi-finals stage. 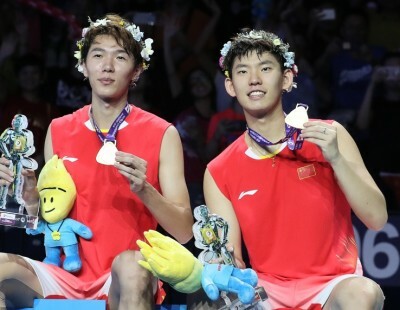 Men’s Doubles titlists Zhang and Liu Cheng (China) were the only defending champions left after Axelsen and Okuhara fell to opponents they had conquered the last time. 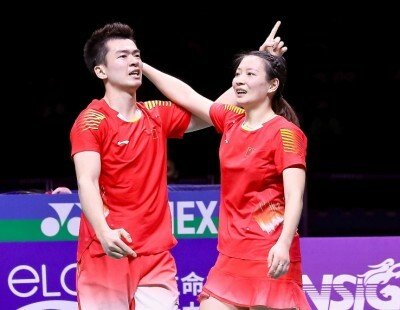 Zhang had earlier in the day also made the Mixed Doubles semi-finals with Li Yinhui. 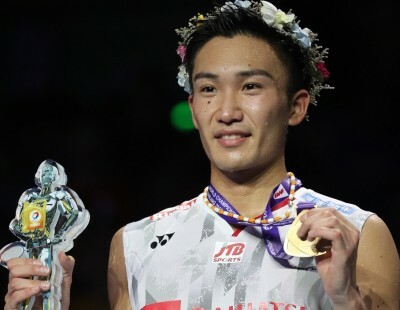 But the most dramatic happening of the day was Malaysian long shot Liew Daren assuring himself of a medal after a topsy-turvy Men’s Singles quarter-final against Japan’s Kanta Tsuneyama. 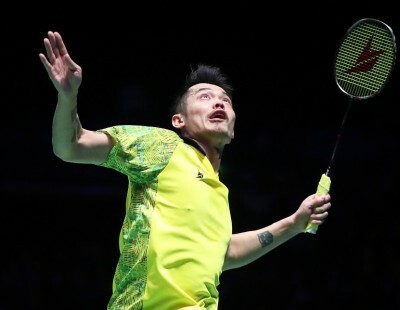 Liew has starred in the unlikeliest script that has unfolded thus far at the World Championships, with his quarter-final a saga in itself with several acts. The first act involved the Malaysian gliding along smoothly, cracking winners with his jump smash every time the shuttle was in range. 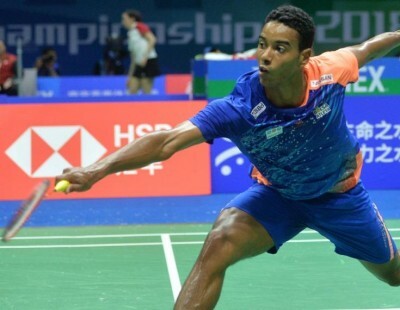 Then, with the Malaysian leading 13-10 in the second, he lunged at the net and collapsed in pain, holding his right ankle, setting the scene for what would happen next. For the next few points he moved gingerly, and the sight so moved the crowd that they started to cheer him on. Liew, moving tentatively, inched ahead and had three match points; on each occasion, his opponent stayed steady to deny him victory. To his credit, Liew pressed on in the decider, nailing a winner nearly every time he won a smash. With three match points, Liew could sense victory, but then again, mirroring what happened in the second, the opportunity slipped by. 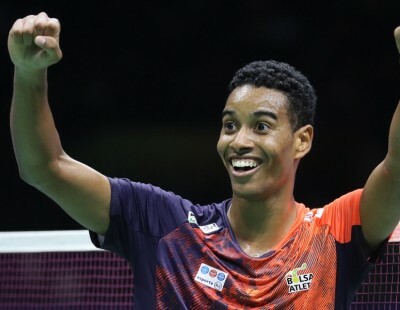 With the crowd rooting for him, Liew pounced at the net to set up his seventh match point. And then the underdog had his day, falling on the floor in a flood of emotion as Tsuneyama missed the last shot. 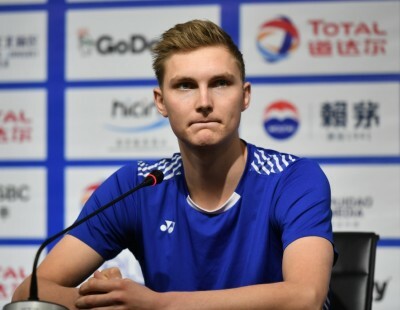 Viktor Axelsen’s reign as champion came to an end at the hands of his predecessor. 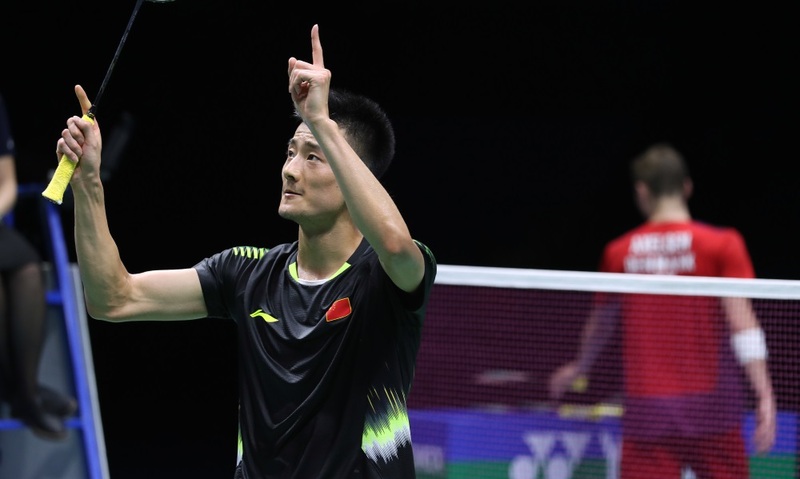 Chen Long was confidence personified as he dictated terms in the early exchanges, and although Axelsen was never far behind, he needed to pull something special out of his bag on the day. That he couldn’t do, and once he lost the opening game, he faded away quickly: 21-19 21-11. 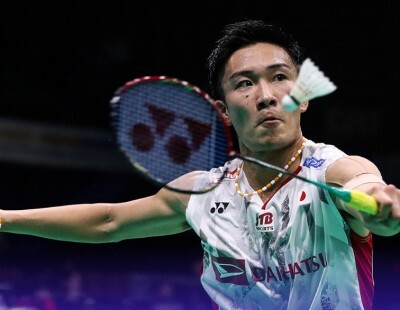 Asian champion Kento Momota was brutally efficient in dispatching India’s Sai Praneeth to take the last semi-final place, 21-12 21-12, and put himself in contention for a title that would complete a remarkable comeback story. 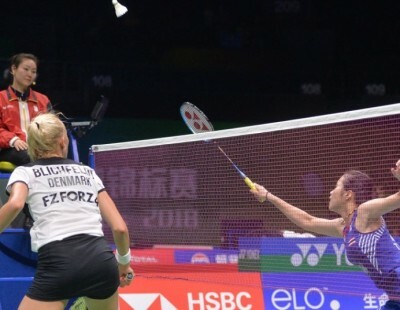 Pusarla V Sindhu eased some of the pain of losing her last World Championships final to Japan’s Nozomi Okuhara, with a well-executed gameplan that prevented her opponent from imposing her endless rallying style. Still, there were some long rallies that evoked memories of the Glasgow final; the difference was that Pusarla was able to convert the half-chances that came her way and prevent the match from going to a draining third game. 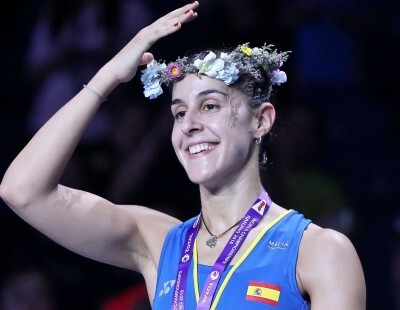 In the semi-final, Pusarla faces another Japanese – Akane Yamaguchi – who was all athleticism and acrobatic retrievals in her three-game win over China’s Chen Yufei. 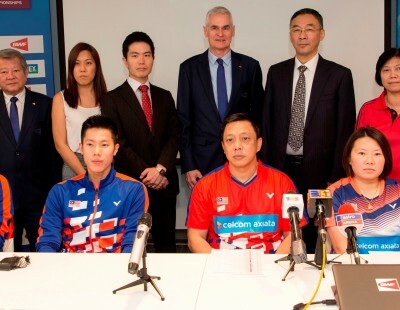 Chen Hung Ling and Wang Chi-Lin gave Chinese Taipei something to cheer about after the two singles losses earlier in the day of Tai Tzu Ying and Chou Tien Chen. The Chinese Taipei duo outplayed 11th seeds Takuto Inoue/Yuki Kaneko (Japan) 21-11 17-21 21-13. 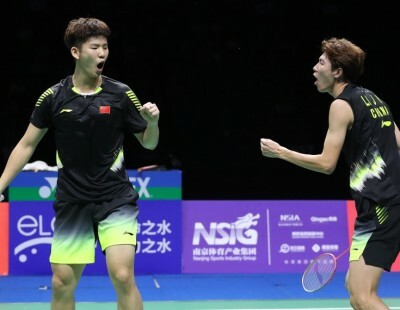 While Chen/Wang face Japan’s Takeshi Kamura/Keigo Sonoda, the other semi-final will be an all-Chinese affair between defending champions Liu Cheng/Zhang Nan and Li Junhui/Liu Yuchen. 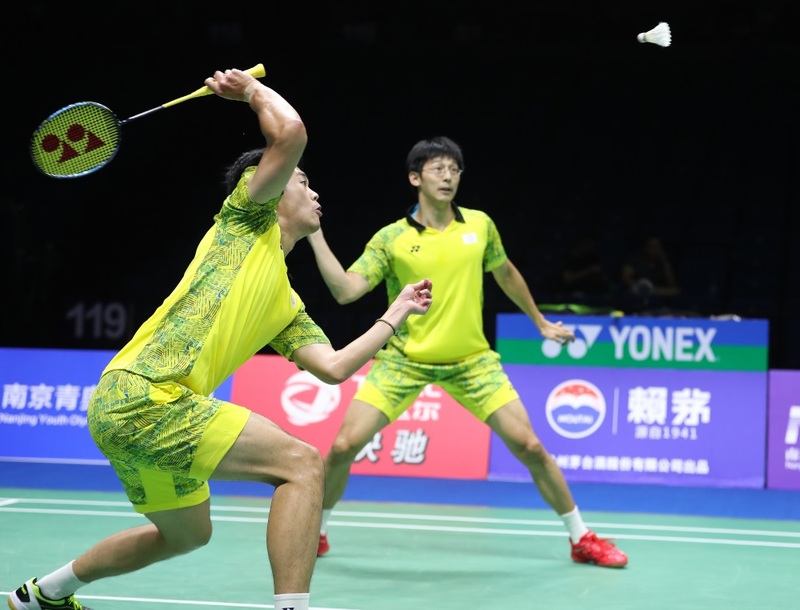 Zhang/Liu overcame spirited resistance from Denmark’s Mads Conrad-Petersen/Mads Pieler Kolding, 21-13 14-21 21-18, while Li/Liu held firm in a tight second game to complete a 21-14 22-20 victory over Malaysia’s Aaron Chia/Soh Wooi Yik. 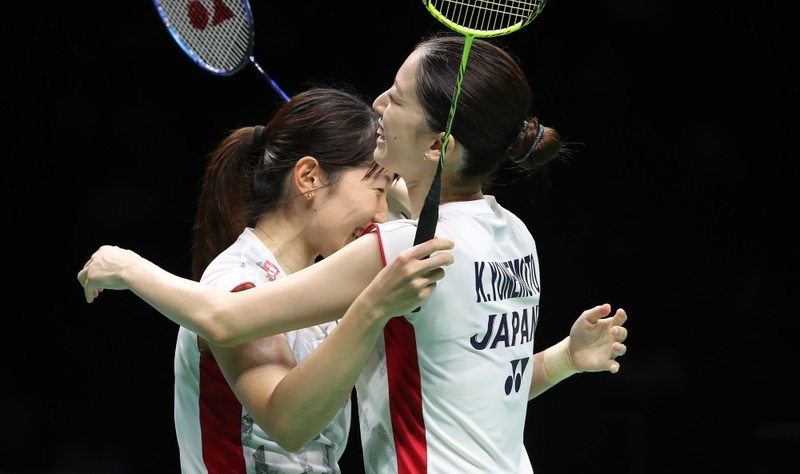 Japan’s Women’s Doubles pairs justified all pre-tournament expectations as they clinched three semi-final places. Only Indonesia’s Greysia Polii/Apriyani Rahayu stand between them and the second-ever gold medal for Japan. 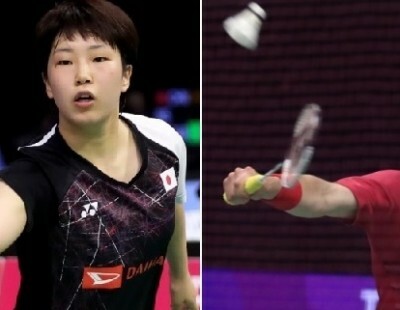 After Mayu Matsumoto/Wakana Nagahara had taken the first spot for Japan in the morning session, two other Japanese pairs – Yuki Fukushima/Sayaka Hirota and Shiho Tanaka/Koharu Yonemoto – were faced with Indonesian opponents in the evening session. Della Destiara Haris and Rizki Amelia Pradipta started well against Tanaka and Yonemoto, going up by a game, but the Japanese dug in and slowly but surely turned the proceedings their way: 17-21 21-12 21-15. 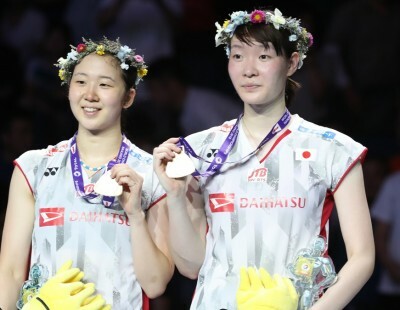 Fukushima and Hirota, silver medallists last year, overcame a combative performance by Anggia Shitta Awanda/Mahadewi Istirani Ni Ketut in the first game before easing through in the second: 21-17 21-15.